The Tamiya team has done a thorough job with researching the kit, the designers having inspected, measured, and examined real aircraft at five different air museums. 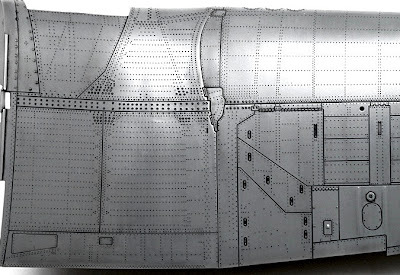 The US aerospace giant Northrop-Grumman supplied original Vought blueprints so that the team could check precise details and measurements. 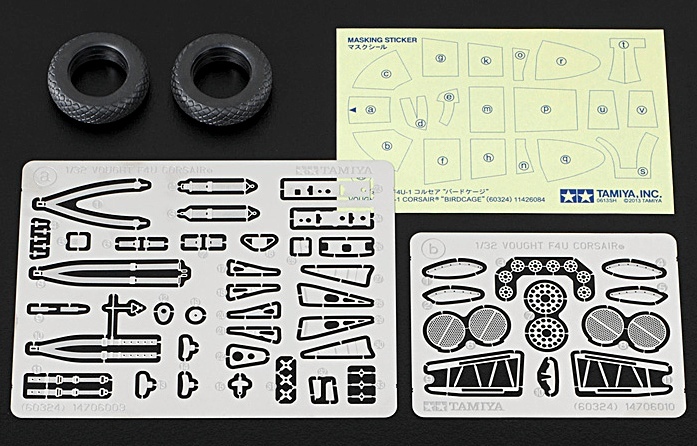 A useful item could be Tamiya’s weathering master set designed for World War II US Navy aircraft. 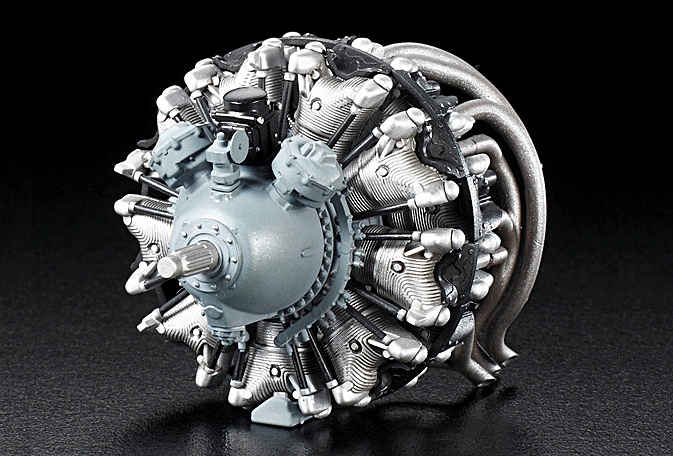 This allows model makers to add dirt, rust, textures and highlights, especially useful for areas such as wheel wells and other high-wear parts of the airframe. 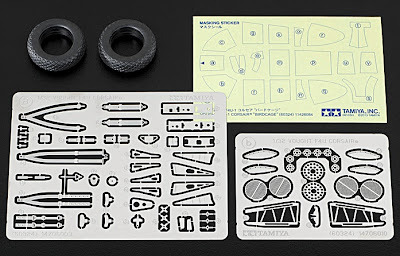 The weathering kit is flagged by Tamiya as a ‘limited edition’ though it’s hard to see why - maybe the marketing minions think the limitedness adds an interesting aura to the product. 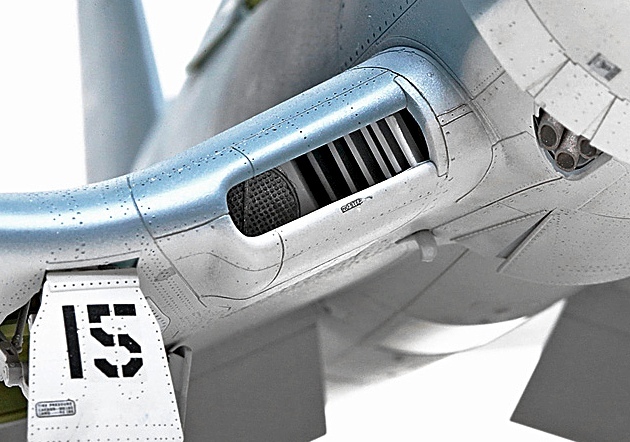 As with other 1:32 scale aircraft in this range, the engine cowlings are removable, thus allowing the wealth of engine detail to be shown off. * Landing gear: Can be depicted in raised or retracted position. * Armament: Includes Mk XLI bomb rack. * Pilot: Two figures supplied, in seated and standing positions. 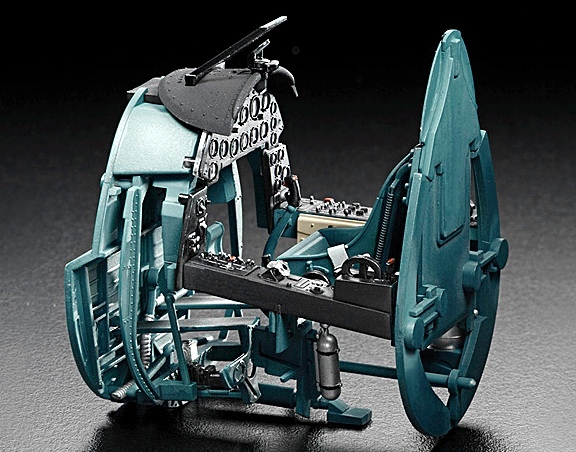 * Tyres: Moulded in synthetic rubber with accurate tread patterns. 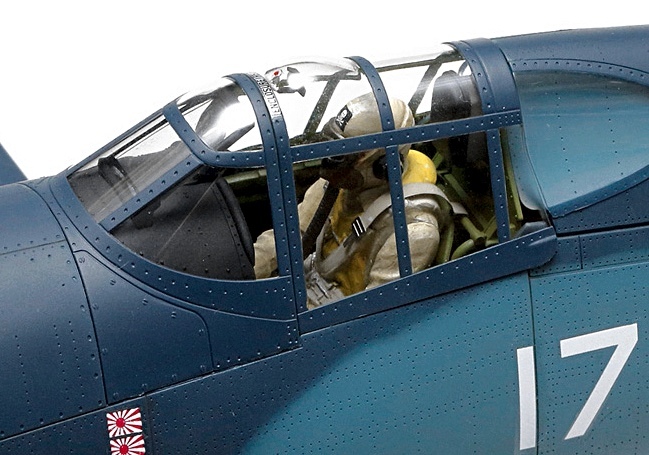 * Markings: Three sets supplied plus painting guide. 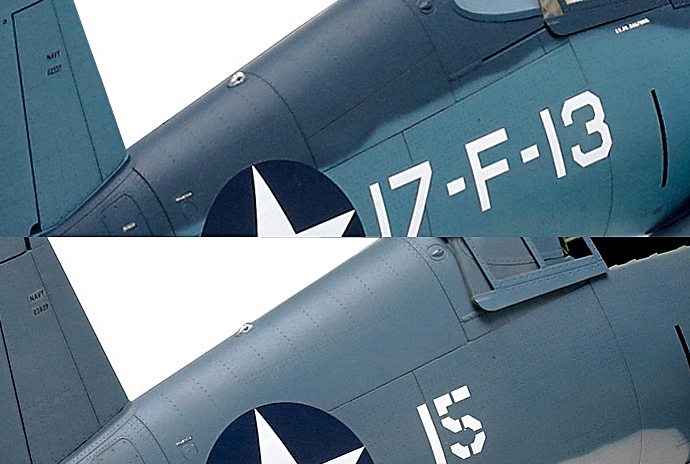 * Masking sticker: Supplied as an aid to painting the birdcage canopy support struts. 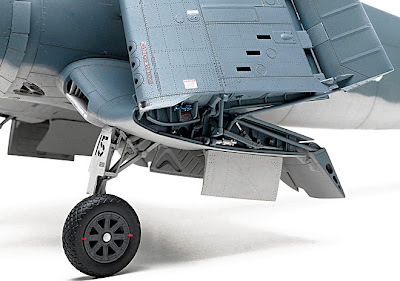 * Stand: Allows Corsair to be shown with raised or lowered landing gear. * Booklet: 12-page commemorative publication included. 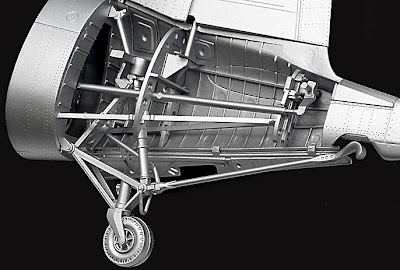 * Cowling: Two-piece item, removable after completion. * Canopy: Choice of construction in open or closed position. * Fuselage: Two sets of rear fuselage parts supplied, for early- or late-production machines. Looks like another winner, as it’s produced to the same ultra-high standard that Tamiya has achieved with its other 1:32 aircraft. 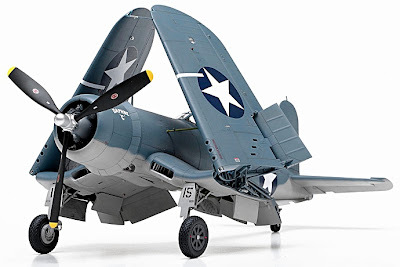 As a wish-list addendum, I’d love to see a future accessory kit, designed to motorize the Corsair’s folding gull wings - now that could be a real show-stopper. 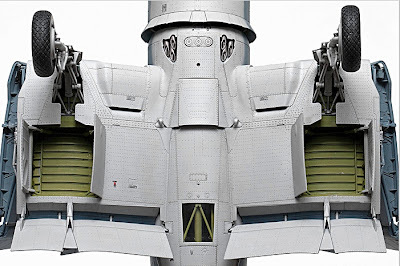 The cockpit module (below) includes pretty well everything you'd expect, from engine firewall to rear bulkhead, via gunsight and bucket seat. 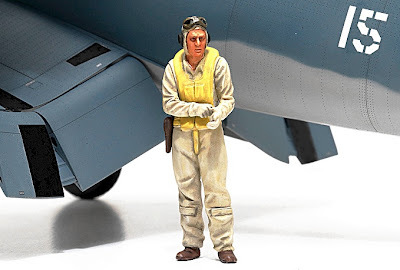 As Tamiya supplies a suitable pilot figure, you have the choice of leaving that seat empty or occupied. 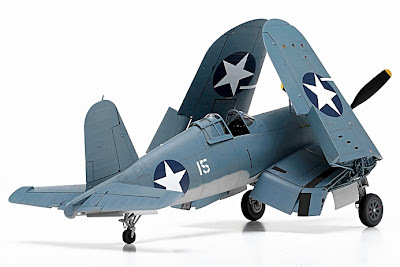 1:32 scale Corsair kits are coming through soon - expect them to be available in stores early July. 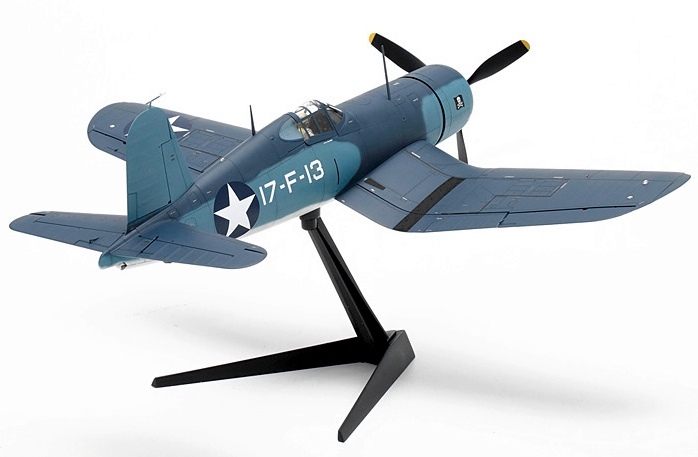 Meantime, there's a variety of F-4U kits available here. 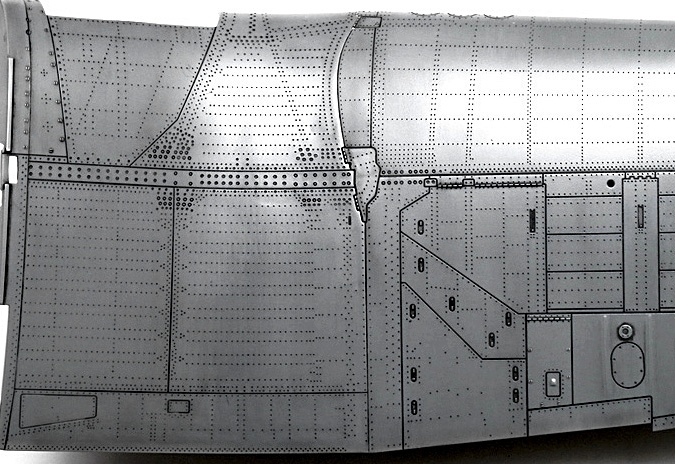 Intricate detailing in the wing-fold area (above) helped by the superfine rivet detail (below). 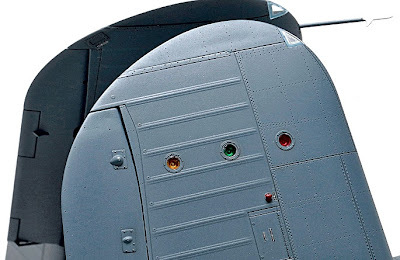 Tinted identification lights in the underwing area (below). Panel lines are fine and delicate, so care in finishing will be needed so as not to bury them with too many coats of paint. Internal structure in the tail (below) is neatly reproduced, with tailwheel/hook detail as good as anything yet seen in this scale. 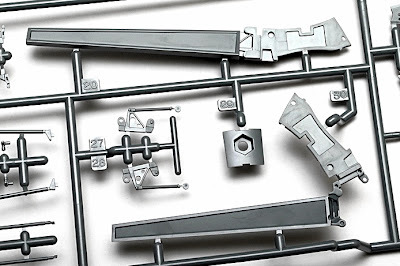 Numbered components still attached to sprue and runners (below). As always, it's a good idea to trim parts off carefully using a special tool, rather than twisting with fingers.